Turning left onto a street or at a busy intersection in the Seattle area is a basic driving skill that every driver is expected to know how to perform safely. However, T-bone accidents can occur when the driver making the turn is negligent. This kind of crash can result in victims in the other vehicle suffering serious injuries or death. 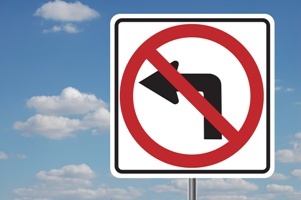 How do Left-Turn Car Accidents Happen? The only time a driver turning left has the right-of-way is if he is turning on a left-turn green arrow. In other situations, oncoming traffic and pedestrians have the right-of-way and the driver making a left turn must yield to them. Because of this, the motorist making a left turn will almost always be presumed to be the at-fault driver. Were you injured in a left-turn auto crash in the Seattle area? Even if the other driver was presumed to be negligent, you should not assume that settling your claim will be easy. The insurance company could still raise disputes about the cause of your crash or the seriousness of your injuries in an effort to deny, delay, or reduce your claim. You need to retain an experienced car accident attorney as soon as possible after your accident to investigate your collision and negotiate your settlement. Call our office today to schedule a free consultation to learn how our skilled and dedicated lawyers will aggressively fight so that you receive the compensation that you deserve for your injuries.